It seems that the Japanese company Ricoh has developed another high quality release for later this month and this time we are talking about a zoom lens. We had already seen the very interesting device called Ricoh Theta S, which is used with a smartphone and a Ricoh GR II camera, the first of its kind to have Wi-Fi. Well, today we will talk about a traditional lens: the new Pentax-D FA 24-70mm f/2.8ED, a high-end lens that promises happy results. Let’s see what it’s about! The nature of the Pentax-D FA 24-70mm f/2.8ED makes it really versatile in any type of photographic use, including scenarios with poor lighting conditions. From landscapes to indoor frames, this lens promises to deliver the best image quality. It has the ability of both taking regular pics, as well as getting a focal worthy of the wide-angle lenses. Lens composition. Thanks to its composition of 17 elements in 12 groups, plus 3 ED lens, 3 spherical and 1 AD spherical, the lens ensures sufficient levels of light even in the corners and edges of the image. Also, the lens can reduce the chances of any chromatic aberration, allowing a clear image with high contrast and high resolution. Compatibility. This standard zoom lens is designed for the Pentax K full frame mount and it’s also compatible with the APS-C format, which will provide a range of equivalent focal lengths from 36 to 105mm. Aperture. The Pentax-D FA 24-70mm f/2.8ED has a constant aperture of f/2.8, which allows consistent quality throughout the zoom range. It benefits work in low light conditions in any situation and offers greater control over focus when a low field depth is applied. You can also use a minimum aperture of f/22. This way you take portraits with shallow field depth and even entirely clear landscape photos. SDM. With the addition of a new generation SDM (Supersonic Direct-drive Motor), the lens ensures a quiet, fast and subtle autofocus. This allows the photographer to react quickly to any subject in need of capture. This motor works perfectly in both photo and video modes. HD coating. 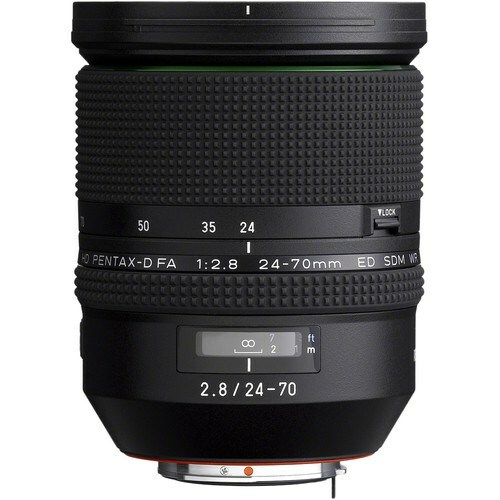 The Pentax-D FA 24-70mm f/2.8ED lens has a High Definition coating to improve the description of the image. It ensures a difference compared to the coatings of other lenses, meaning that it ensures better light transmission, as well as less reflection against bright or highly reflective surfaces. This results in more images without the unwanted Lens flare and Ghosting, even under backlit elements. Focus systems. It has a quick focus change system, which allows the photographer to switch instantly from one focus mode to another (from automatic to manual and viceversa): all thanks to the operation of the focus ring. You can try first with the autofocus and then move quickly to manual focus. The external lens build. 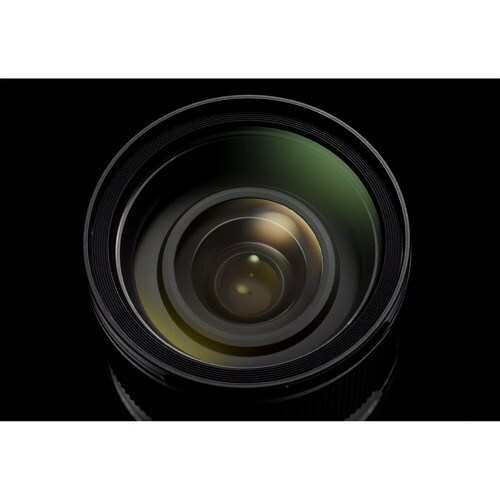 This lens has an external construction to withstand certain weather conditions that would otherwise affect the equipment. It has special seals to prevent water from getting to the lens. 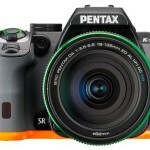 If the lens is suitable for a PENTAX digital SLR camera, it allows greater security to the whole equipment and this translates into the ability to shoot the camera in any conditions (whether rain, snow or any situation susceptible to moisture). Diaphragm composition. 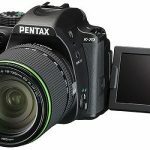 The Pentax-D FA 24-70mm f/2.8ED diaphragm is composed of 9 rounded blades, allowing blur effects to be provided more subtly. You can take pictures with a splendid Bokeh effect. Zoom Lock. The lens has a Zoom Lock mechanism, which allows it to not extend the focal when it’s loaded on its own weight or pointing down. As we said, this multifaceted lens will be available in mid to late October this year. You can buy it online starting October 20. Its approximate price is about $1300. What do you say? Are you ready to buy it?